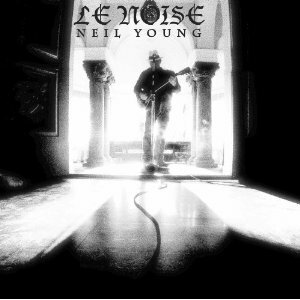 Neil Young News: Neil Young Interview on Le Noise: "It sounded like God"
Neil Young Interview on Le Noise: "It sounded like God"
"Just spoke to Neil Young. Says death of Ben Keith means "I won't be able to perform 70% of my repertoire with a band ever again." The tweet has caused somewhat of a collective gasp of disbelief in the micro-blogosphere. See full interview from Chicago Tribune: "Neil Young on playing his 'Le Noise' guitar: 'It sounded like God' by Greg Kot. Wow! Sounds like his gears are turning and the future is still a fresh, blank canvas. He has to try to build on this stuff in a band situation. This is exactly why every time I could see Neil and his latest band I'd make sure to see them ... the past couple years has to go down in the books as epic Neil ... with him breaking out all the old Harvest stuff and what have you ... its really sad to hear Neil talking about closing the door on 70% of his cannon, the only bright spot is that the other 30% is huge, who knows what he'll invent now, and maybe we'll see the horse brought back out ... but if he's serious and indeed that 70% is out, its a sad day worth mourning over this for sure. RIP Ben! many of us underestimated what life would like like without you. If Neil is genuine about this that I'm thankful I saw the Continental band 3 times in during the Euro tours in 2008-9. Seeing Neil and Keith's interweaving playing on "Words" completely changed my opinion of the song and you can see why Keith's passing has had such a impact on Neil. Also take a quick look at Sugar Mountain and see how many times Keith's name appears in the band line ups - not just the obvious Stray Gators, Santa Monica Flyers, International Harvesters & Prarie Wind bands but also The Restless, Shocking Pinks, The Bluenotes and Trans Band - about the only band he didn't play with was Pearl Jam.